Software renderer made in VC++ using native Win32 API for drawing. Back in the old days when I had more free time I wanted to do everything myself in my game engine including developing a maths library of my own. I wanted to learn every expect of game development in detail so that’s how I used to do things in those times. So I made a math library with a decent amount of features / functions and I needed something to test it. At the same time, I wanted to have a clearer understanding of the graphics pipeline so making a Software Renderer seemed a good way to accomplish both things. Math library was coded entirely in VC++ without any vector based code and I used native win32 API for drawing. 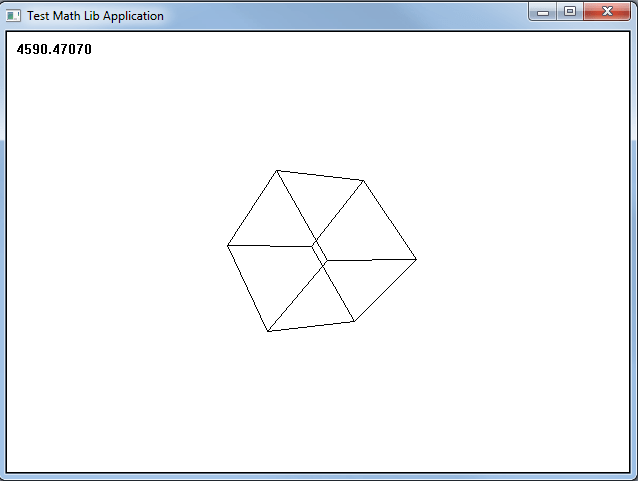 It was only a wireframe renderer tested on few simple shapes, but the code was good enough to handle complex shapes. I didn’t have any 3d file importer at the time so I left testing complex objects task for later, but I never got time (or forgot) to do that later as I moved on to other things. This entry was posted in C / C++, Windows and tagged Personnel Projects, Software Renderer on August 1, 2010 by admin.